The latest robot vacuum from Ecovacs is a set-it-and-forget-it super cleaner. If staying on top of housekeeping was your New Year’s resolution, the Deebot 711 could help ensure you don’t throw in the dustbin by the middle of February. Ecovacs latest robot vacuum is a diligent cleaner with a several advanced features, including a stellar navigation system that plots the most efficient course across your floors. The 711 sticks close to the specs of other Deebots, with a sleek circular shape that’s 13.9 inches across and 3.3 inches high. An Auto-mode button and the vacuum’s vSLAM camera are embedded in the top. Underneath, it’s equipped with a single roller brush and two spinning side brushes. This robot vacuum comes packaged with its charging dock and remote control. The latter includes a start/stop button and a directional pad for manual control, plus buttons for cleaning modes and sending the vacuum home to recharge. 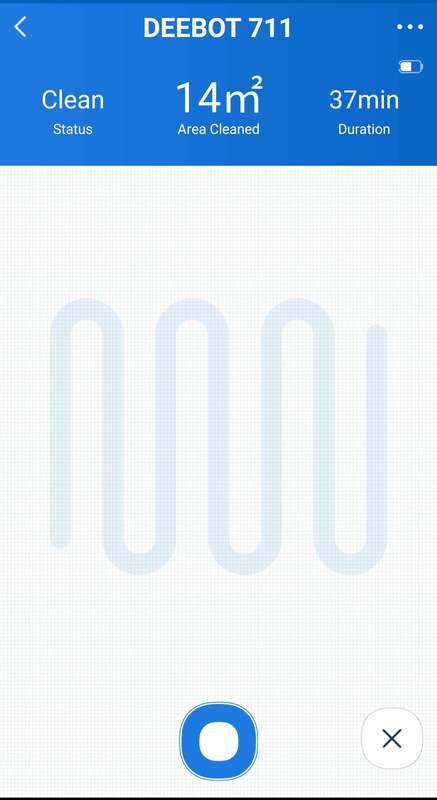 The Deebot 711 cleans in a methodical S-pattern. 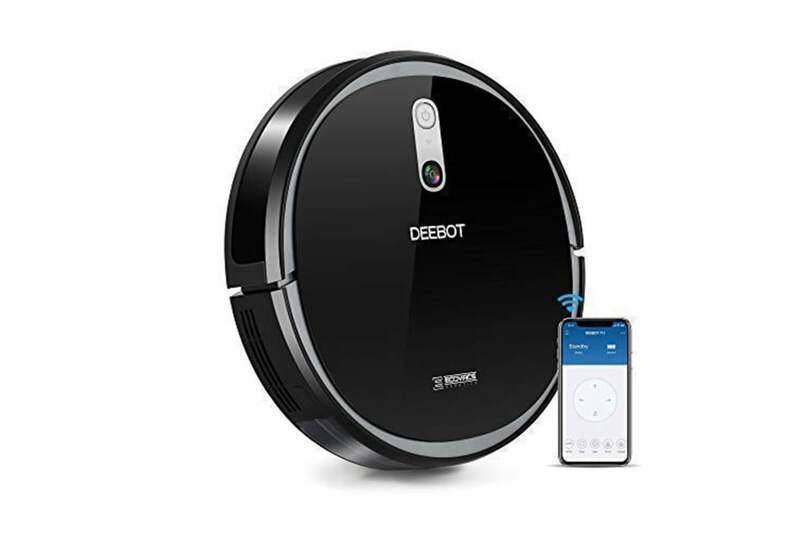 The Deebot 711 is an eager cleaner. No sooner had I attached the spin brushes and set it on its charging dock than the voice prompt announced that it was ready to clean and it launched itself across my living-room floor. I hadn’t yet connected it to the Ecovacs Home app, though, so I canceled the cleaning job with the physical remote and returned it to its dock. Connecting the 711 to the app was as easy as selecting if from a list of products and following a couple of prompts to log on to my Wi-Fi network. Even with a firmware update, the process only took two to three minutes. You can control the 711 with the remote as well as Amazon Alexa and Google Home Voice commands, but you’ll get the most out of vacuum’s capabilities with the Ecovacs Home app. During cleanings, you can view real-time data on the current cleaning area and duration on the home screen. 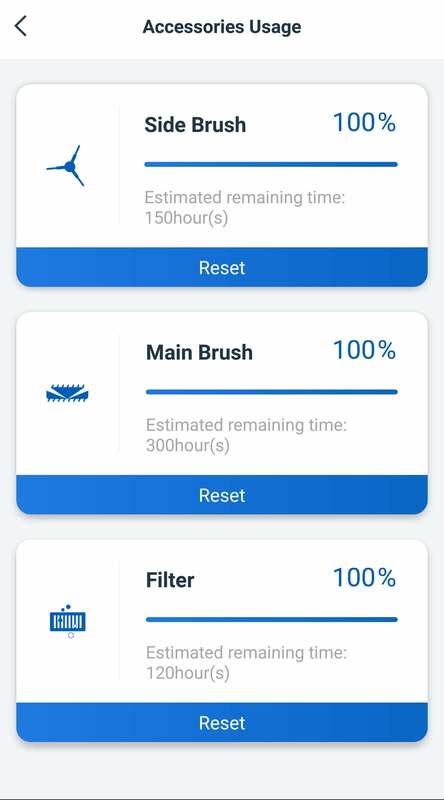 You can view real-time data during cleanings in the Ecovacs Home app. Ecovacs claims the 711’s Smart Navi Mapping Technology “creates the perfect systematic S-cleaning path” and that bore out it my tests. Whereas many robot vacuums ping-pong around the room at the whim of their various sensors, the 711 moved purposefully, not unlike a person would with a standup vacuum. Its front bumper sensor rarely came into contact with any walls or furniture; rather, it seemed to “see” obstacles and change direction before impact. The 711 maneuvered easily around chair and table legs, electrical cords, pet-food dishes and other obstacles. Thanks to its low height, it was also able to get under my couch and out again without requiring my assistance. It generally did a great job of sucking up the pet hair, food crumbs, dust, and dirt littering the carpet and hardwood on my downstairs floor. After one cleaning, there was still some stubborn debris on the carpet, so I sent the vacuum out again with Max suction, which doubles the power to 1000pa. 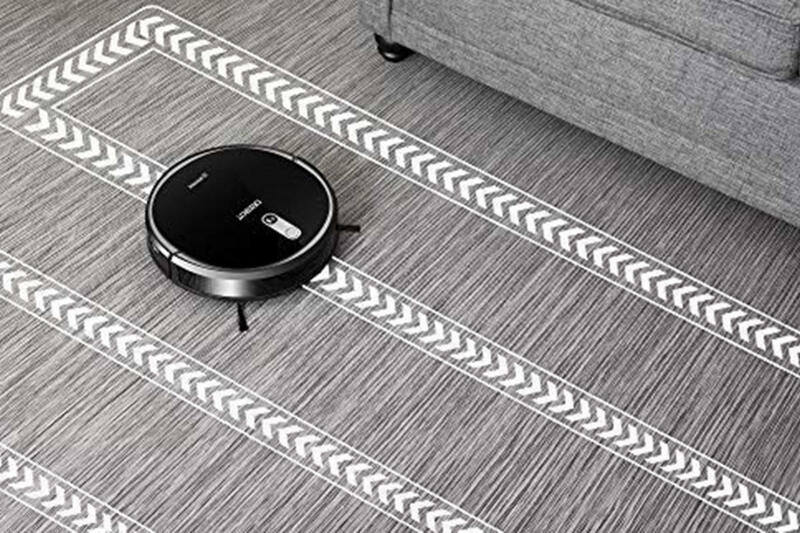 In addition to Auto mode’s S-shaped cleaning pattern, there is an Edge mode that sends the vacuum around the perimeter of the room, and a Spot mode that performs concentrated cleaning in a swirl pattern on a specific area. These can only be initiated from the remote control or the app. The 711 can clean up to 1,300 square feet in a single job. That’s considerably larger than my downstairs area, which it managed to cover completely in about half the time of its 110-minute battery life. Throughout cleaning, the 711’s voice alerts let you know the status of the job or if something gets stuck in its brushes or wheels (the vacuum ships with a cleaning tool to free hair and debris from these). The companion app tracks usage data for the 711’s accessories. The Ecovacs Home app offers a few other features besides real-time control. You can schedule cleanings by setting a time, and then selecting the days of the week you want to run the vacuum. 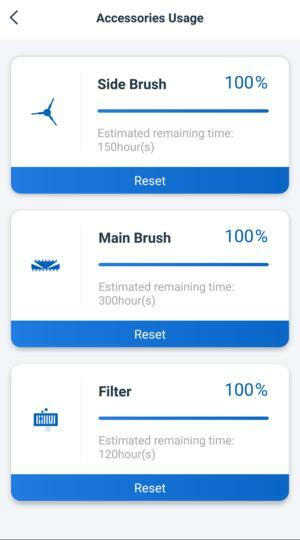 You can also view detailed cleaning logs with floor maps, put the vacuum in do-not-disturb mode, and keep track of the lifespan of its brushes and filter. Despite their smarts, there are few robot vacuums you can set loose and trust to get the job done without your help. The Deebot 711 is near the top of that very short list. The Deebot 711 combines super suction and excellent navigation for an excellent dust buster.